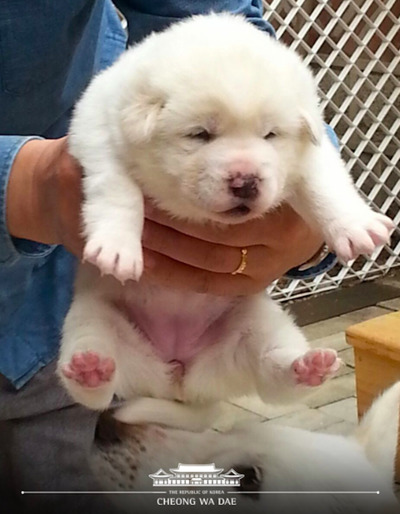 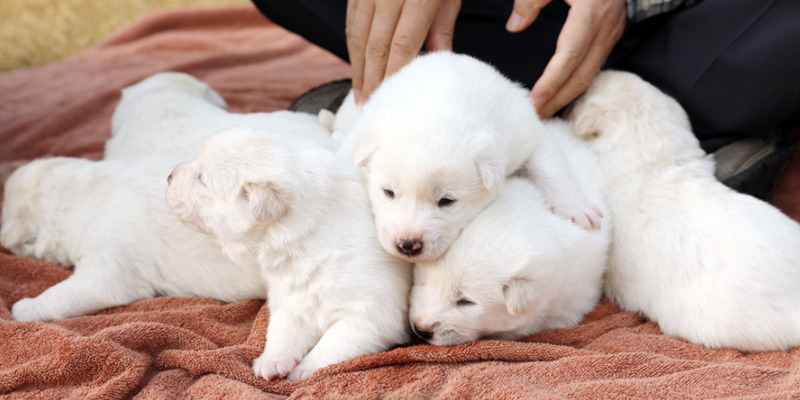 Blue HouseSouth Korea’s Blue House shared a photo of the six puppies this week. Two white Pungsan dogs were presented to South Korean President Moon Jae-in in September as a peace offering from North Korea to symbolise the two nations’ warming relations. 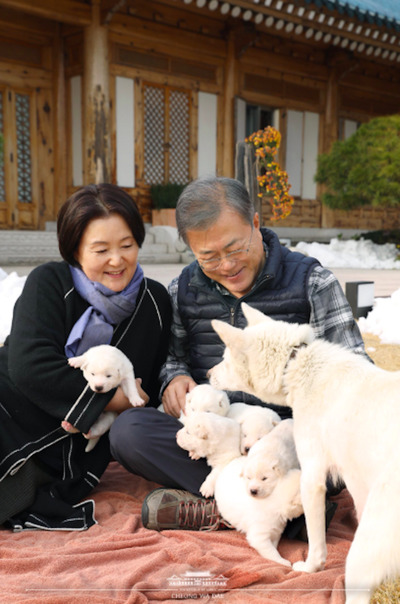 Blue HouseSouth Korean President Moon Jae-in’s office shared a photo of him and the first lady with their dog Gomi and her new puppies. Blue HouseOne of the six puppies. 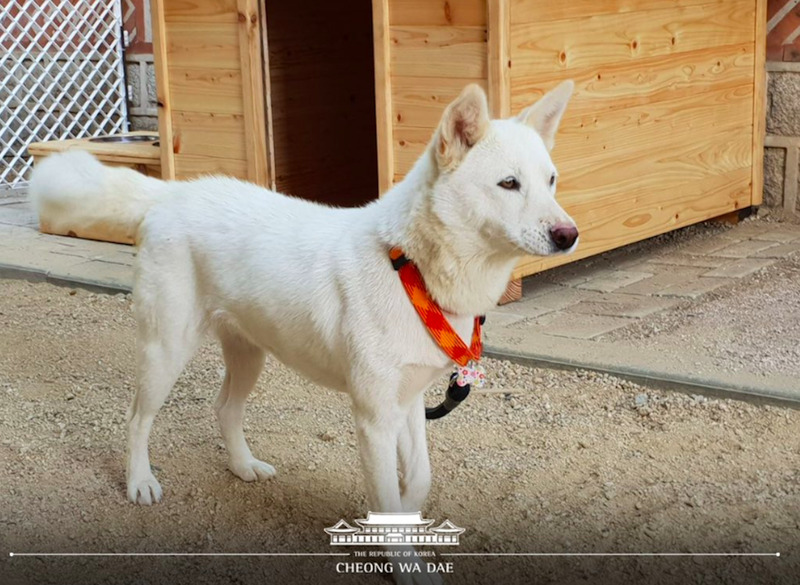 The Blue HouseNorth Korea gave two Pungsan dogs to South Korea in September.